The Aruba 3000 Series Mobility Controllers has been discontinued. No direct replacement is available. High-performance, standalone 3000 Series Mobility Controllers from Aruba deliver a wide range of network services to medium and large regional offices. The 3000 Series Mobility Controllers supports up to 8,192 users and performs stateful firewall policy enforcement at speeds up to 4 Gbps. 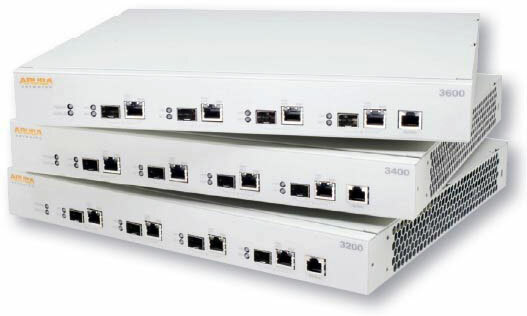 Through secure IP tunnels, Aruba access points (APs) and Mobility Access Switches move traffic to the 3000 Series Mobility Controllers over a public or private transport network and provide local bridging at the access layer, depending on the end user application or IT traffic forwarding requirements.